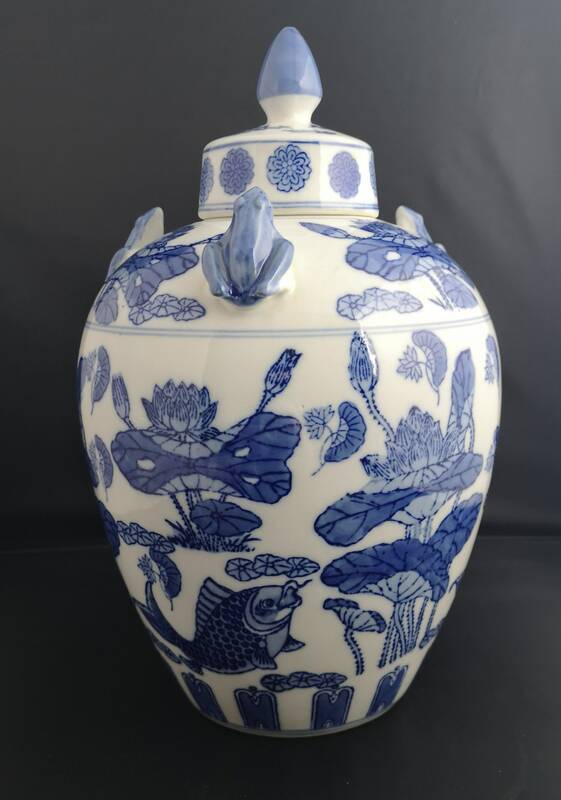 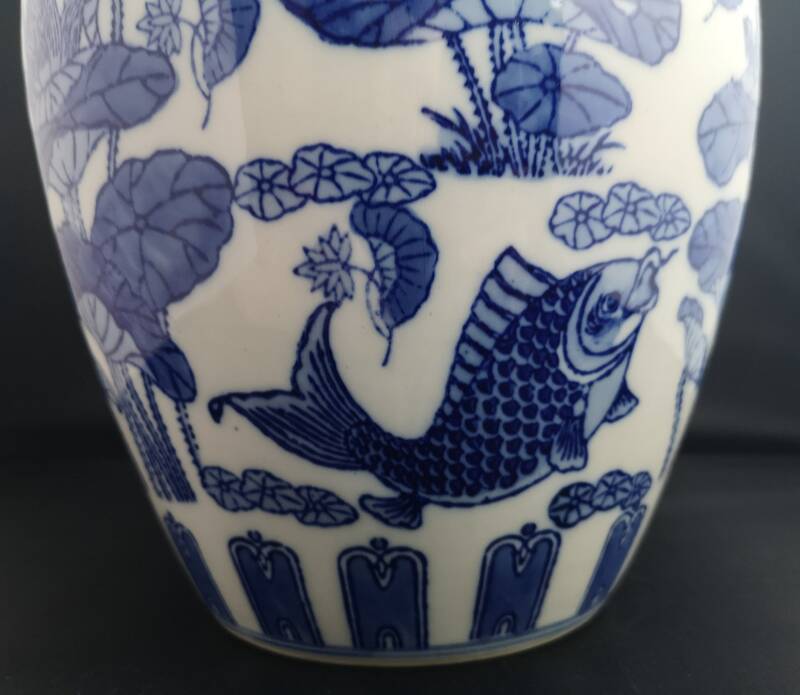 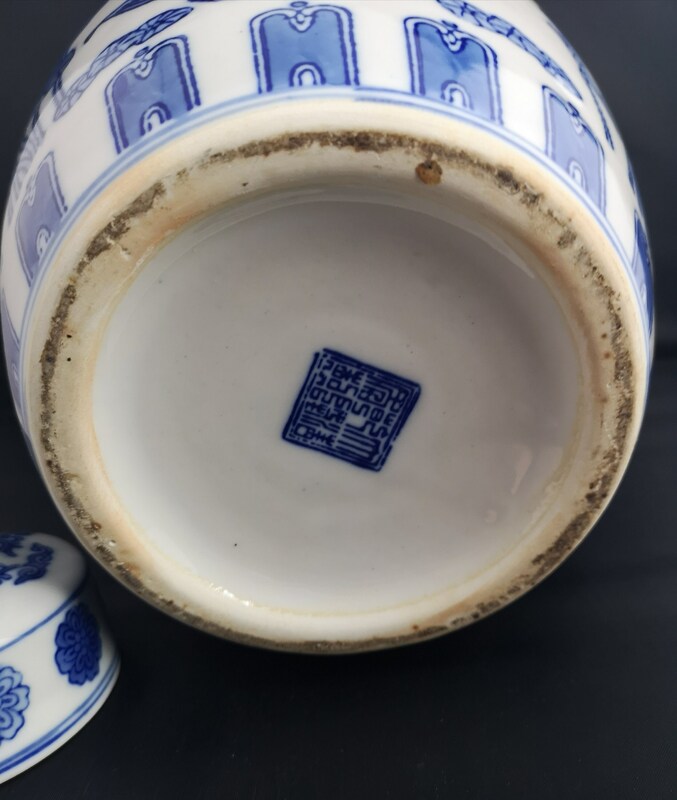 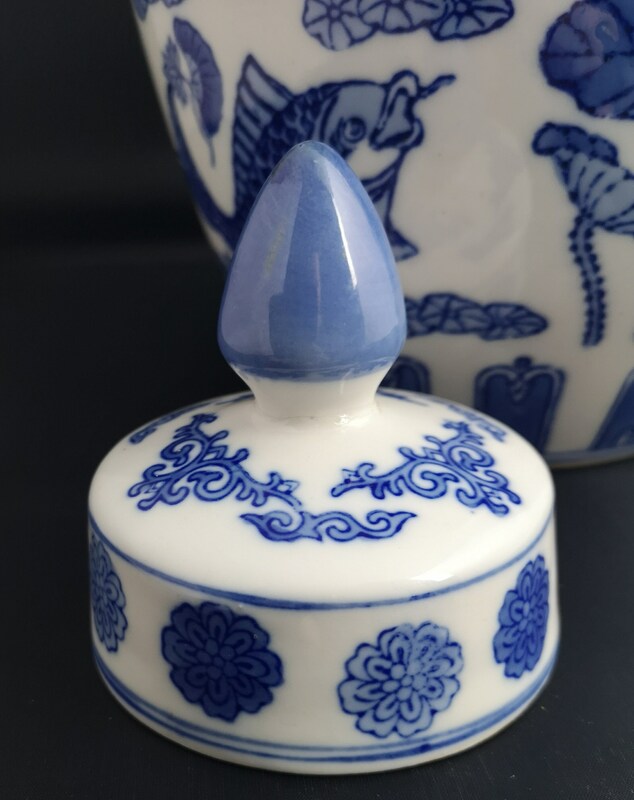 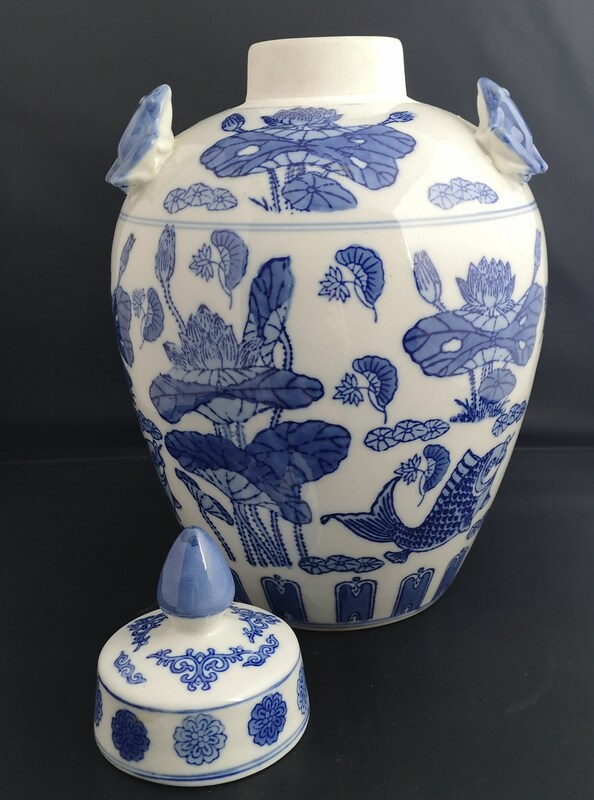 An exceptional vintage Chinese blue and white ginger jar. 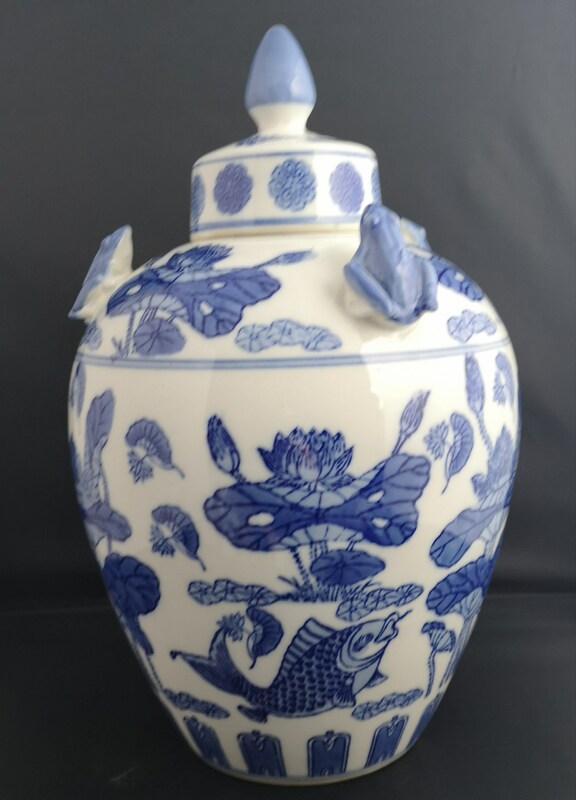 It has the finest attention to detail throughout the entire design, the body is decorated with water lillies, flora and grand koi carp fish. 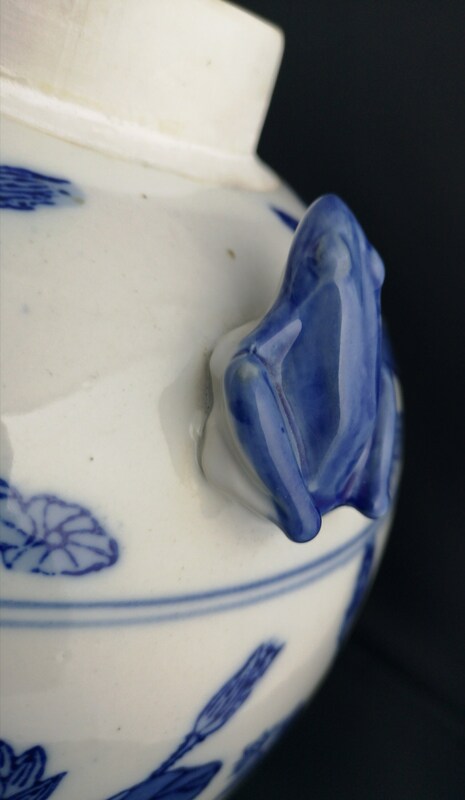 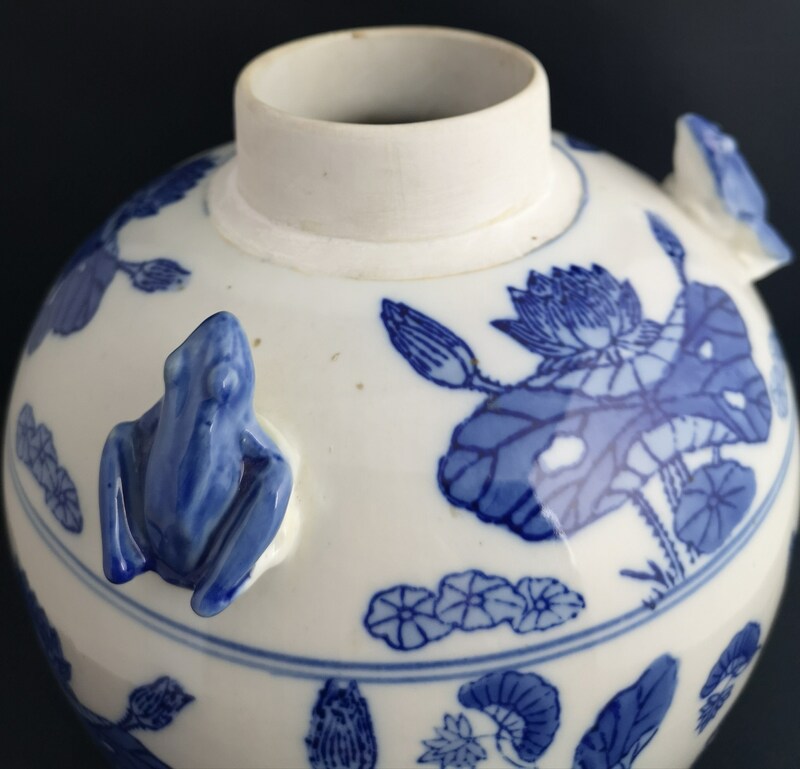 To the shoulders there are three blue glazed frog finials applied in high relief with naturalistic shaping. 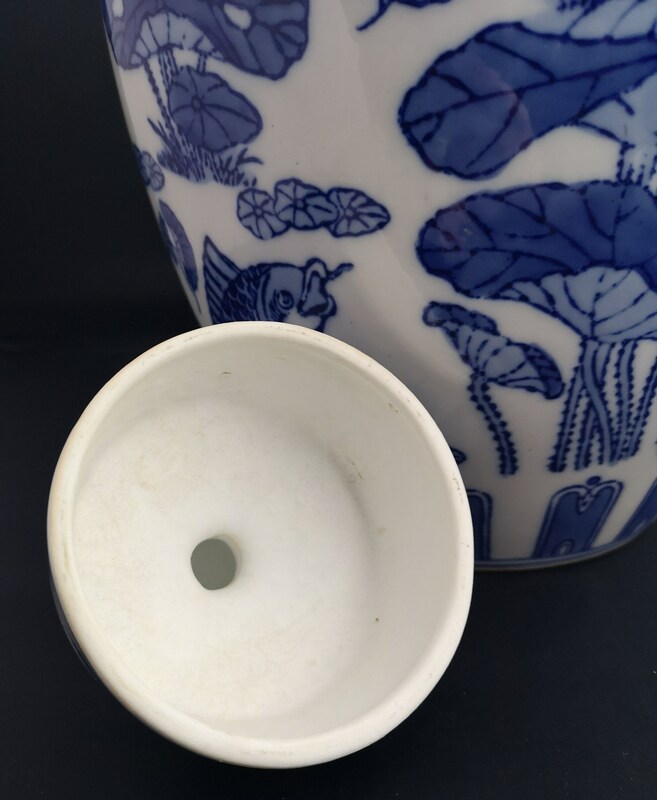 Very large, classic ovoid shape with a raised finial to the lid, it is nice and heavy, very good quality piece of vintage Chinese ceramic, marked to the base with a character mark. 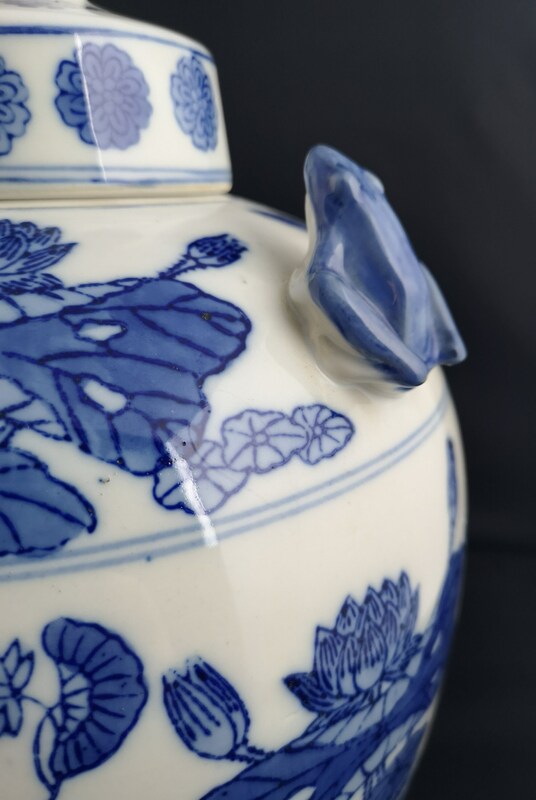 It is large and heavy so will arrive in a larger parcel.